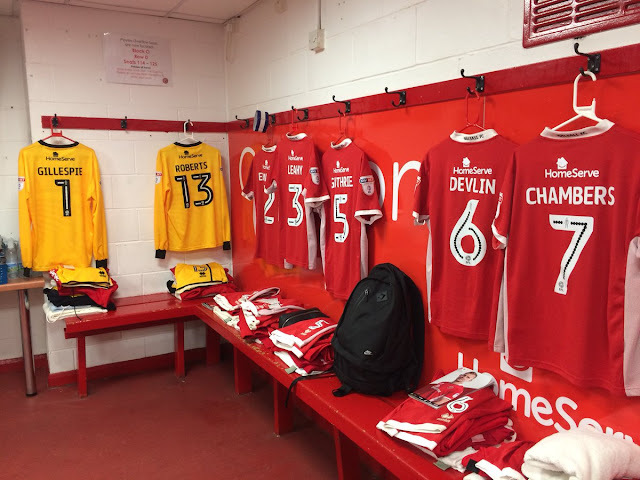 Following a disappointing 2017/18 campaign Walsall Football Club have confirmed which players have been offered new deals and who will be allowed to depart at the end of their current deals. The biggest surprise from that list is no doubt the departure of Florent Cuvelier. The injury-plagued Belgian showed glimpses of the player we all know he can be at various stages during the campaign, but has obviously not done enough to secure a new deal. Reece Flanagan turned professional in 2013 and went on to make almost fifty first-team appearances. Not always a fan favourite, Reece put in several superb displays for the club's development side and is unlikely to struggle to find football lower down the pyramid,and,given his age,could easily carve out a successful career over the coming years. Also among those to depart is striker Simeon Jackson, who spent a portion of the season on-loan to League Two strugglers Grimsby Town, has failed to make much of an impact at the club and will no doubt be happy to depart for pastures new. It was very clear that the club had a poorly balanced first-team squad with not enough in defensive and attacking positions as last summer's recruitment drive failed to hit the mark. Hopefully today's departures will allow Dean Keates to rebalance the side ahead of the 2018/19 campaign. We would like to wish all of the departing players all the best as they begin a new chapter in their careers.